﻿ Easy & Effective Real Estate Software Solution | Iperium Real Estate Ltd.
Optimised for all devices, your site will look great on every device. For real estate sales teams. Manage your properties, contacts and enquiries. Manage your bookings, availability & payments. Moreover Google now penalizes websites that are not "Mobile friendly"? This is why your business website needs to be responsive; changing it's layout to best suit the screen size of the device that is viewing it. 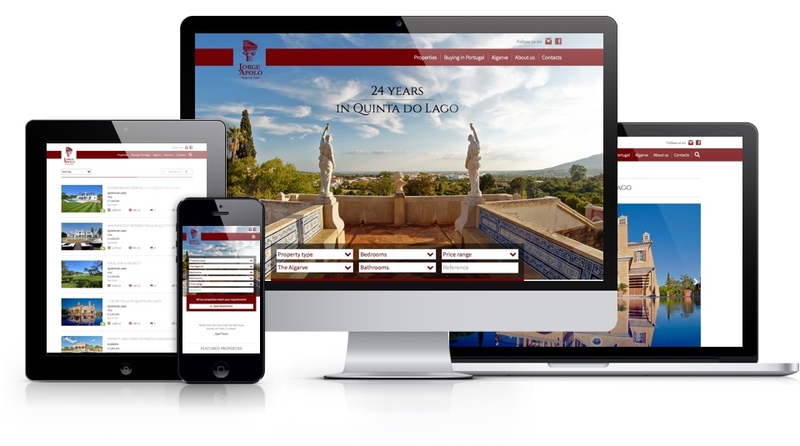 With Iperium Real Estate you can rest assured that your new website will be fully "Mobile friendly". Why work from your office computer when our fully responsive Backoffice means that you can work on-the-go from any Internet connected mobile device. All of Iperium Real Estate's software functionality is delivered straight to your mobile phone, tablet or laptop so you can manage every aspect of your property business remotely & in real time! For online success it is vital that both visitors & search robots can access your website easily & quickly which is why our sites are both search engine & Web 2.0 friendly. But we don't stop there. There are 100s of multilingual portals (free & paid) that will accept your property listings via an XML data feed straight from your Backoffice. With our inbuilt Feeds Manager, you can send your feed to as many of these portals as you choose; automatically! Create & manage multilingual property listings with just a few clicks of the mouse using our no fuss Property Manager. Easily access associated property contacts, history, viewings, valuations, sales boards & essential property documentation on-the-go and in real time. Create price/ availability calendars & readily track bookings & payments with our incredible Rentals Manager. You can even schedule & send event driven emails such as property directions & payment reminders automatically using our Advanced Email add-on. Easily search, group & track of all of your business contacts with our flexible CRM. You can map relationships between contacts, properties, bookings & sales to give a comprehensive overview of your business operations from multiple perspectives. Dynamically translate text between thousands of language pairs with the Google Translate API. Create your property in one language & its description is automatically translated in to all other site languages saving you time & money whilst growing your international audience. Our progressive sales tools will save you time & money & help you better manage your sales process. Match & email suitable properties to clients in seconds with our Property Matching feature or allow vendors access to viewings & sales activity in real time with our dedicated vendors area. Just 2 of of many ways we can improve your productivity in a stroke. Automatically create bespoke, multi-language PDF's for window displays, handouts, & exhibitions. Additionally, take advantage of custom templates (available in all site languages) to create & send professional-looking emails & autoresponders to your clients. 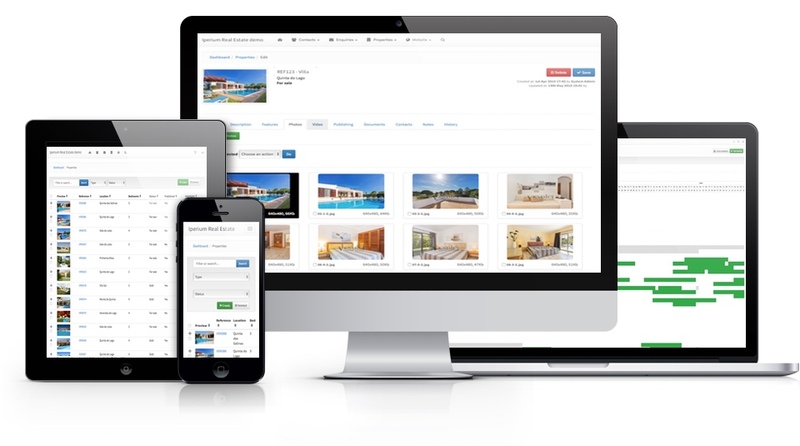 Create & manage your own website pages with our impressive CMS module. The multi-language rich text editor; multi-image uploader; slide show manager & video embed facility give you all of the tools you need to create a fresh custom look & feel for your content. Upload images straight from your camera with no resizing required! Our image uploader/ resizer automatically creates, resizes & optimises images for use with search results, property descriptions & brochures. All property gallery images are automatically watermarked; helping you to maintain the integrity of your Intellectual Property. Now you don't have to worry about losing enquiries through email errors. Our powerful software first saves them to the Contacts Module before emailing a notification copy to you. Effortlessly create new contacts directly from enquiries & set up your own customised, language specific auto-responders to keep your business' marketing message on point. Simply fill in your first name, email address and telephone number and we will contact you to arrange a FREE, NO OBLIGATION consultation and demonstration of our online Property Manager and responsive Website design.